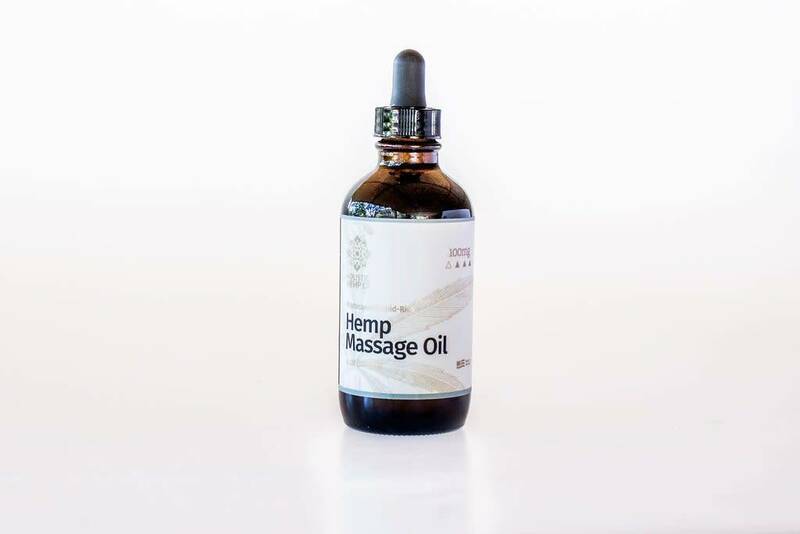 Holistic Hemp Co. Massage Oil is great for those with sore muscles or aching joints seeking an all-natural, topical application for specific spots of their body. It is incredibly popular among athletes and those who suffer from muscle pain and fatigue. Our Massage Oil is also a powerful moisturizers that can give you smoother, more vibrant skin. One of our best sellers, this product is popular with people of all ages. Hemp Extract: 100 mg of CBD per bottle. Store at room temperature, away from direct light. For topical use. Shake well before use.